We are International Leadership Associates, a Cincinnati-based leadership education and consulting firm, and a member of the prestigious Wiley Publishing Global Training Partner Network. We are passionate about and dedicated to working with leaders and teams to inspire commitment and help produce extraordinary results. We take a unique approach to leadership development and organizational growth and prosperity. We are leadership experts, yet we are senior managers ourselves with a track record of personal success in business. We know the pressures you are under. With our knowledge and experience, we will help you attack real issues while equipping your managers and teams with proven leadership practices. That’s a powerful combination. We offer a true partnership approach. We are very committed to the clients we serve. We develop solid enduring relationships. For several clients, we’ve developed customized programs from the ground up to satisfy a very specific business need. We are deeply invested in our client’s success. For over a decade, 95% of those who have attended one of our leadership workshops rated it superior or the best they have ever experienced. We serve all levels of the organization, including substantial work with senior teams. The impact of our work extends from the Board Room to the Mail Room. We also serve as a program provider for the University of Dayton’s Center for Leadership & Executive Development. We help develop leaders and teams to tackle and overcome tough issues like sustaining profitable growth, attracting and retaining top talent, increasing customer loyalty and associate engagement, doing more with less, and other real challenges in today’s business. Our business has been built on some core beliefs, which have been validated time and again through our work with large and small companies, government agencies, non-profits and everything in between. Leadership does make a real difference. In fact, it is often the only difference between ordinary and great performance – between a tolerable and an extraordinary workplace. Leadership development is a process, not one training session or even a series of independent events. A primary responsibility of leaders is to develop more leaders. Therefore, leadership is everyone’s business. Good people deserve good leadership. Organizations are made up of many good people, who deserve good leaders. Thank you for taking the time to get to know International Leadership Associates. We welcome the opportunity to make a real difference with you. 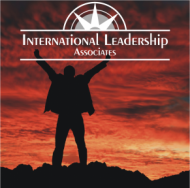 ILA was started back in 1987, with the sole mission of taking The Leadership Challenge to the marketplace. We were the first organization to offer an in-company workshop, and continue to be leading contributors to the development of participant and facilitator workshop designs and materials.